Teflat 2 (Morocco) April 13, 2019 (SPS) - For the 24th day in a row, the Sahrawi political prisoner, Mohamed Hassena Ahmed Salem Boreal, of Gdeim Izik group jailed in Tiflet 2, east of the Moroccan capital of Rabat, continues his open strike since 20 March 2019 while his health situation has been weakened and his legitimate demands ignored. His health situation has become alarming, especially in the absence of adequate medical follow-up. 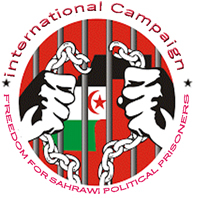 Suffering frequent blackouts and lack of breathing, as well as a sharp drop in blood pressure accompanied by nausea due to medical negligence and deliberate indifference towards his critical health condition, according to the Association for the Protection of Sahrawi Prisoners. To be noted, he is demanding his immediate release or transfer to Western Sahara towns near the family's residence, Mohamed jailed in Teflat 2 under unfair sentence for 30 years during an unfair trial.